Liberals want to destroy Supreme Court Justice nominee Brett Kavanaugh. Not only did a suspicious number of sexual assault allegations surface in the last week, but liberals dragged him through the mud in any way they could. And one of those malicious attacks is a new mishmash video of a classic movie and Kavanaugh’s testimony before the Senate Judiciary Committee. 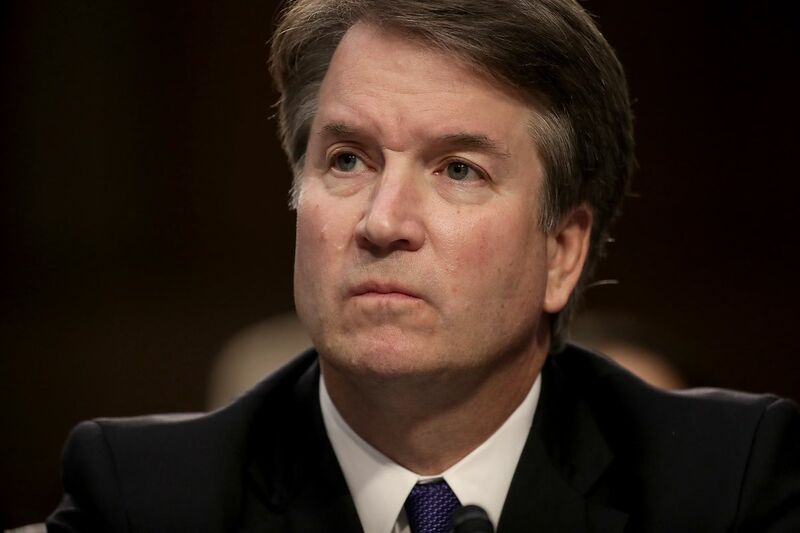 Liberals want to destroy Brett Kavanaugh’s career. These unsubstantiated allegations spawned liberals to bring out their pitchforks. It’s a he said/she said scenario. But that doesn’t stop angry liberals from defaming his name. And that includes one viral video that took Twitter by storm. It’s a mash-up of Kavanaugh’s testimony and the popular classic Quentin Tarantino movie, Pulp Fiction. Do you remember one of the most infamous scenes in Pulp Fiction? The scene in the beginning. Vincent and Jules visit the young college-aged kids and results in a bloodbath? Well, it just so happens that one of the characters in that scene’s name is Brett. They spliced comments from Kavanaugh and Pulp Fiction to criticize the Supreme Court hopeful. It’s also an insult to someone who worked so hard to get where he is in life. But this is what liberals do. They use pop culture to mock conservatives. Not many people in America accomplished as much as Kavanaugh. He’s a civil servant who dedicated his life to Americans. Also, Kavanaugh said himself after Dr. Christine Blasey Ford’s testimony that this has been one of the worst weeks of his life. The attacks from liberals have been unbelievably harsh. They’re cruel. Sen. Dianne Feinstein randomly found Ford just before his confirmation hearing? These videos laced with comedy and pop culture references are a distraction. They take away from the severity of these hearings. The actor who played Jules, Samuel L. Jackson, also saw the video. What testimony did they watch? Now we’re hearing that Dr. Ford’s polygraph test only had two questions? It’s unclear whether they had more questions asked but their lawyers just released those two. They basically asked if her statement was truthful. Meanwhile, you have Kavanaugh desperately pleading his case that this never happened with great emotions. Liberals called him a liar right off the bat. Jackson also apologized to “Fratboys” after his initial response. The allegations that Kavanaugh participated in gang rapes are ridiculous. The FBI is not investigating Julie Swetnick’s claims that Kavanaugh was at parties where she was gang raped. That’s because they did not deem her story credible. In the meantime, President Trump ordered an FBI investigation to get to the bottom of these allegations. It used to be innocent until proven guilty, right? Unfortunately, Democrats don’t see it that way. They hate Republicans too much for that. These liberals indicted Kavanaugh before he had a chance to respond. Do you think that Democrats have gone too far?